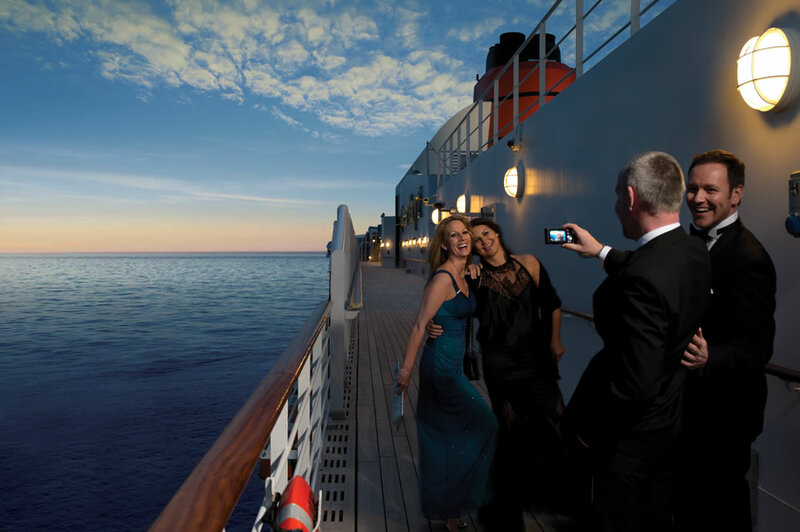 Cunard has announced its 2016 main programme of cruises which includes five maiden ports of call and ten overnight calls. Cunard has calculated that between May and December the fleet will travel over 205,000 nautical miles touring Europe and destinations around the world, calling at 100 destinations in 34 different countries. The five maiden ports of call include Gaspe (Canada); Genoa (Italy); Pointe-a-Pitre (Guadeloupe); Saguenay (Canada); and Stornoway in the Outer Hebrides. Several itineraries will also feature an overnight call to one of ten ports including Amsterdam (Netherlands); Barcelona (Spain); Istanbul (Turkey); Madeira (Portugal); Geiranger (Norway); Quebec (Canada); Reykjavik (Iceland); Boston, (USA); St Petersburg (Russia); and Venice (Italy). A total of 14 late evening departures (after 9.00pm) are also planned for next year to enable guests to spend longer in port. Destinations where this will be offered include Barcelona (Spain); Bergen (Norway); Dubrovnik (Croatia); Invergordon (UK); Kotor (Montenegro); Kusadasi (Turkey); Madeira (Portugal); Monte Carlo (Monaco); Mykonos (Greece); Istanbul (Turkey); Tenerife (Spain); Trieste (Italy) and Valencia (Spain). In 2016 Cunard are offering the opportunity for passengers on selected Mediterranean voyages to attend the Arena di Verona Opera festival. It is a summer festival of opera located in the city of Verona, Italy. Large-scale opera performances are given in an ancient Roman amphitheatre, which was capable of holding 30,000 spectators. Performances traditionally begin at dusk and spectators are given small candles to light as darkness falls and the performances begin, creating a unique and unforgettable atmosphere. Cunard will continue to offer their regular Transatlantic crossings with Queen Mary 2 making 19 Atlantic crossings between Southampton and New York or vice versa, from May to December 2016. These will typically span seven-nights although certain voyages will sail over eight-nights and include a call to Halifax (Nova Scotia; Canada) – the birthplace of the company founder Samuel Cunard. Queen Victoria will also operate a pair of nine-night Transatlantic Crossings for the first time and will call at either Halifax (Nova Scotia; Canada) or Cobh (County Cork; Ireland) en-route.